The reopening of Yosemite National Park can't come soon enough for Douglas Shaw. The 20-day closure during peak tourist season cost Shaw $200,000 in lost revenue at his hotel just outside of Yosemite — one of the busiest parks in the U.S. Most of the park reopened Tuesday. Park officials say Highway 41 and Glacier Point will remain closed for likely at least another week for fire-fighting operations. The nearly three-week closure was the result of the Ferguson fire, which has burned 96,457 acres and killed two firefighters since it started July 13. Though the fire didn't reach the heart of Yosemite Valley, it burned in remote areas of the park and choked popular areas with smoke. The park closures began July 25. During that time, Shaw wiped out his savings account, had to lay off eight of his 43 employees and started considering early retirement to avoid a possible future with similar devastating wildfires. "If I hadn't had savings, which is depleted, I'd be scrambling for money or I wouldn't have a business," Shaw said. "It's a huge setback." Shaw is among hundreds of business owners in small communities surrounding Yosemite who depend on tourist dollars. Tens of thousands of visitors from across the globe canceled trips because of the park's closure. The Ferguson Fire is one of several devastating fires in California — the latest fatality being a firefighter from Utah who died Monday while battling the Ranch Fire, the largest in California history. In Yosemite, the fires peaked during the busiest month for tourism. The park draws more than 600,000 visitors during a typical August, according to the National Park Service. 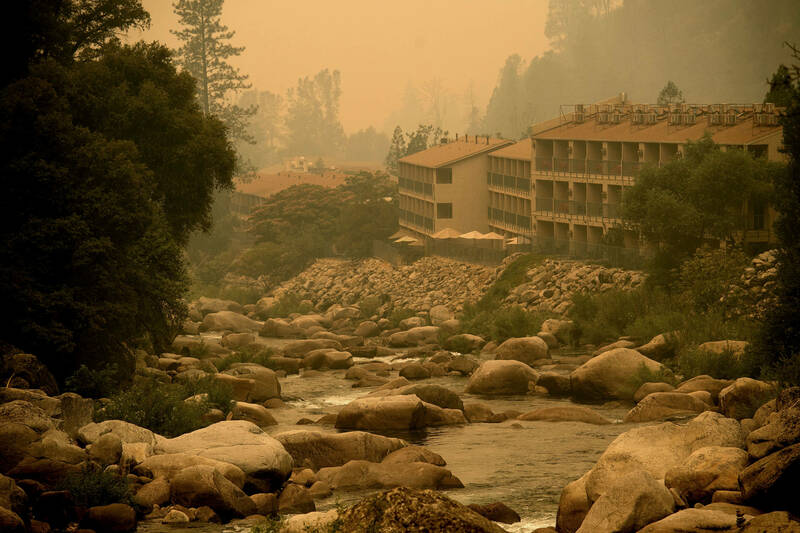 Visitor bureaus in the area and the park are estimating roughly $50 million in combined tourism losses, said Steve Montalto, creative director at Visit Yosemite Madera County. "From an economic standpoint, it's majorly significant to the region," said Montalto, who visited one of the most popular attractions at the park, the Mariposa Grove of Giant Sequoias, when it reopened Monday ahead of the larger reopening Tuesday. Tom Lambert, who rents out an apartment within the park, said he and his wife have lost about $20,000 in income because of the closure. And because the apartment is along the one entrance to Yosemite Valley that will remain closed for at least a week, he said his next booking isn't until Aug. 31. A Montana blaze destroyed structures and forced evacuations Monday from the busiest area of Glacier National Park. But as Gediman walked around the park ahead of the opening, he said there was a newfound sense of anticipation among workers who were tidying up campsites and preparing entrance stations. When Shaw heard the good news, he said he felt pure joy. "It's a beautiful thing," he said. "You realize that roads are actually paved with money."